Student Visas for International Students Studying in the U.S. 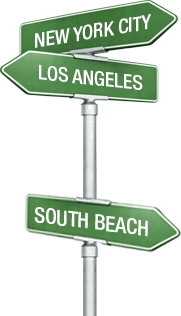 In most cases, to study at the New York Film Academy’s NYC, LA, and South Beach, Florida campuses, students will require an F-1 student visa. Students wishing to enroll in our Musical Theatre programs or workshop will require an M-1 student visa. Please note that the U.S. government prohibits studying full-time on a tourist visa. In order to apply for a student visa, students will need an I-20 A-B Certificate which will be issued to you by the NYFA International Student Office. In order to be eligible to get an I-20 you would have to enroll in a full time class, which includes all workshops and programs except the one-week and evening classes. Before issuing the I-20 certificate you must apply and be accepted to a program. Please click here to learn more about the process to apply for a program. Once we have received all the proper documents for the I-20 certificate, we will process and send out the I-20 certificate via express courier within 3-5 business days. We will send you an email to confirm it has been sent and this email will include the SEVIS ID # and instructions on how to pay the SEVIS fee. Please note that you must provide evidence that you have sufficient financial backing to receive a student visa. A $200 SEVIS I-901 fee is required by the US Government to be paid for all I-20s. You can only pay this fee after your I-20 application has been processed and a SEVIS ID number has been created for you. Once you have your I-20 Certificate (or at least the SEVIS ID #), you can begin the process to apply for a student visa. *Canadian citizens: Canadians do not need to apply for a visa to study at NYFA, but you do need to enter the US with student status. To enter the US in F-1 status you need the I-20 Certificate, proof of Canadian citizenship and financial documents that prove you have the funds available to pay for your tuition and living expenses. In order to obtain an F-1 or M-1 visa, you must complete the DS-160 Visa Application and make an appointment at the U.S. Embassy or Consulate in your country for a visa interview. At this interview, they will decide whether to issue you a visa. At the interview, you will be required to provide evidence of your ability to pay for your tuition and living expenses in the US. You are also required to show evidence of ties to your country to prove that you are not planning to immigrate, such as family ties, residence, job or school. You may be asked about why you are choosing to study and how you will use the training when you return home. The length of time it takes to get a visa appointment varies in different countries. Please see this website for information on the time it takes to get a visa interview and be issued a visa in each US Consulate. For more information on visas and to locate a Consular office, please click here. To see a list of Frequently Asked Questions, please click here.